How To Find a User's Security Identifier (SID) in Windows ? From there you can interpret the data with winbuilder. 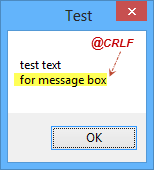 This command works since Windows 2000 and above (according to this MSDN page). Let me know if this works ok for what you want to achieve. WHOAMI 2.0 @1997. Written by Christophe Robert(chrisrob@microsoft.com). /ALL = Display all information in the current access token. /LOGONID = Display Logon ID.